Dirty Fighting Secrets of Judo with John Saylor is finally here! 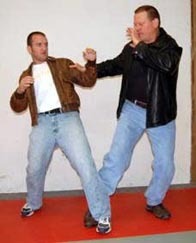 Let John Saylor show you how to take a few of the most effective sport judo throws and turn them into powerful weapons for street defense. Judo has some great throws and takedowns, but unfortunately today it is practiced almost solely as an Olympic sport. As a sport it is governed by a multitude of rules designed to protect the contestants from serious injury. These rules are necessary in sport judo, but as a result of the judo world’s total focus on sport competition, judo has lost much of its value as a fighting art. 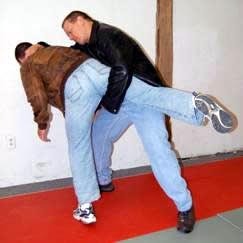 The answer is simple - throw out the rulebook and use the “Dirty Fighting Secrets of Judo” to prevail against the most common forms of street assault. These techniques aren’t taught in the standard judo books, and they are guaranteed to get you thrown out of any judo tournament. That’s why they’re so brutally effective for self-defense. Why standard sport judo throws will get you killed on the street. How to modify a few simple but devastating throws to do serious damage to your attacker, but with very little risk to yourself. Create vulnerability in even the biggest and strongest opponents with this powerful principle. 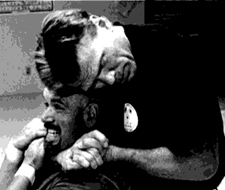 A simple long-forgotten armlock which was so dangerous to even high-level Black Belt judoists that the International Judo Federation outlawed it’s use. The secret illegal technique that an American Olympic Team member used to defeat a World Judo Champion from the former Soviet Union. 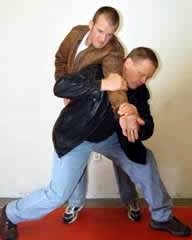 How to generate maximum explosive power and maximum damage with variations of simple judo throws that John Saylor has nicknamed the “Quick Reverse,” the “Snow Plow,” and the “5 on 2”. To get your copy of “Dirty Fighting Secrets of Judo” rushed to your address, please order securely online with Visa, MasterCard or Discover.